Sleepwalking is equal parts fascinating and terrifying. The notion we can be in control of our bodies without having any responsibility for what we do is incredibly unnerving. But what actually happens in your brain (and your body) when you sleepwalk? Here's what science has found out. Sleepwalking has been riveting drama, ever since Lady Macbeth wondered if that was a dagger she saw before her, the handle towards her hand. The unquiet mind, forced to wander, acting out unconscious impulses. It's so dramatically satisfying that it's a shame that the providers of this entertainment can't fully enjoy it. History, ancient and recent, provides us with hair-raising tales. 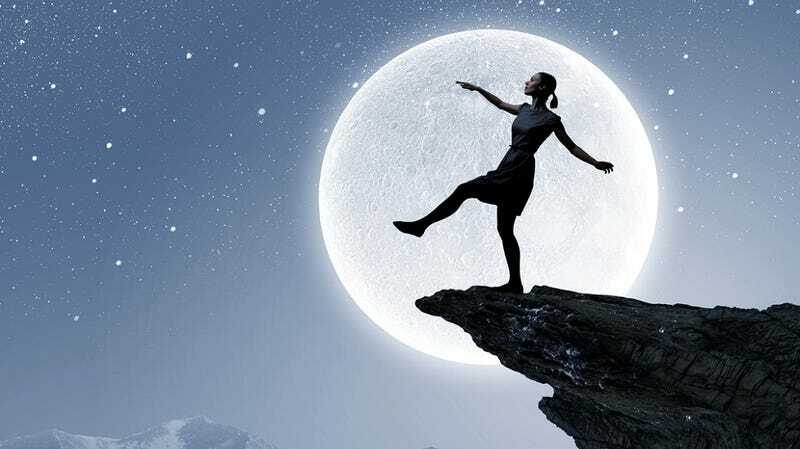 Mostly, though, sleepwalkers gain a reputation on the incredibly rare occasions when they're a danger to others. There is a long history of sleep-homicide. The first was in Paris, in 1630. A man planned to murder another man. The night before he was to carry out the murder, he dressed, grabbed his sword, swam across the Seine, killed his intended victim, swam home, and went back to bed. This particular instance of sleep crime actually became a philosophical problem. A person can't be executed for a crime they didn't intend to commit, but what if they intended to commit it the next day? There's no word on whether the Parisian was declared not guilty. Through the years, juries have had to judge the culpability of sleepwalkers who committed crimes. The most famous case of sleep homicide happened in 1987. A man, worried about revealing his gambling debts and his embezzlement to his in-laws, went to sleep, drove to their house, killed his mother-in-law, and injured his father-in-law, before driving to the police station. He was acquitted, but the acquittal remains controversial. Generally the few people who do commit crimes in their sleep are convicted and acquitted based on many factors, including whether they confessed immediately, and whether their conscious motivations line up too conveniently with their unconscious actions. Stress and worry can provoke sleepwalking, and sleepwalkers can act out their worries in their dreams. They can also do things completely at random, or even commit the acts they're trying to prevent. Tragically, some of the sleepwalkers who have killed people seem to have done it because they believed they were protecting their loved ones from nonexistent fires or burglars. We know this because the total amnesia that supposedly comes with sleepwalking is a myth. While sleepwalkers are amnesic to most of what they think when they're asleep — just like regular dreamers are — almost everyone remembers flashes. Some people remember everything they dreamed during their walk. They acknowledge, upon awaking, that their visions made no sense, but couldn't control themselves while asleep. One sleepwalker described how he walked out of his bedroom and saw his dog. Although he could see the dog was peacefully sleeping he still had the idea that it was on fire. He grabbed it up, carried it to the bathroom, and put it under the shower, at which he got the same rude awakening as the dog. He remembered his "dream" and what he did during that dream, but couldn't, at the time, engage his critical thinking. He obviously survived to tell psychologists about his dreamed-up dog abuse, which means that — contrary to myth — there's no real problem with waking a sleep walker. They don't go into shock, or have a heart attack. Their mind doesn't give way. They don't get violent. They merely have a very unpleasant awakening, which is why most psychologists stress coaxing sleepwalkers back to bed. No one likes to be shaken awake, while they're on their feet or not. Most of the medical information about sleepwalking stresses the risk-factors. People are more likely to sleepwalk if one of their parents does. If both of their parents do, then a child has a sixty-percent chance. Young children are more likely to sleepwalk. People with sleep breathing disorders, like apnea, are more likely to sleepwalk. People with restless leg syndrome are more likely to sleepwalk. People with night terrors are more likely to sleepwalk. Basically, sleep disorders come in a bundle — and it's a bundle that's likely to be a gift to the next generation. As far as we can tell, sleepwalking occurs because two parts of the brain are "awake" at once. The first is the part that is meant to be percolating while people are asleep. It's not the part that vividly dreams. Sleepwalkers don't walk during REM sleep, but about half an hour before they enter REM sleep. The second part of the brain kept awake is the motor cortex. When people twitch in their sleep, or when the paws of cats or dogs flex in their sleep, its because the nervous system is doing its job. A neurotransmitter called gamma-aminobutyric acid, or GABA, shuts down the ability of motor cortex to make any major movements. We may think we're running, but all we do is twitch. When there is insufficient GABA in the system, the part of the brain in charge of motor function is still fully engaged, and we move as much as we want, even if we are trapped in dream logic. This is why children tend to sleepwalk more than adults. The still-developing brain can't make a sufficient supply of GABA. As the nervous system matures, it's able to up the supply, and children grow out of their sleepwalking. Sometimes, the ability to switch off the motor cortex never really works, and people keep walking in their sleep throughout their lives. Most sleepwalkers endure nothing more than the stories their families tell about their nocturnal adventures.